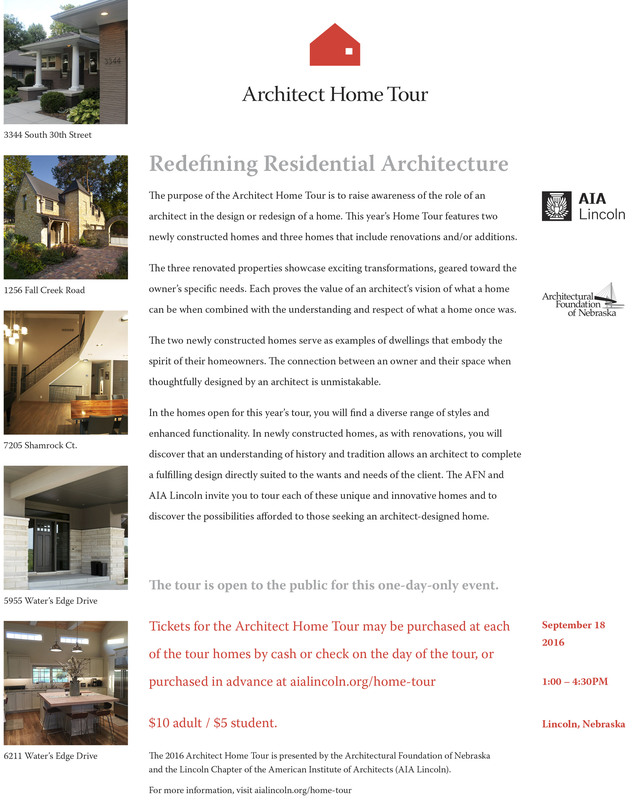 The 2016 Architect Home tour is quickly approaching. 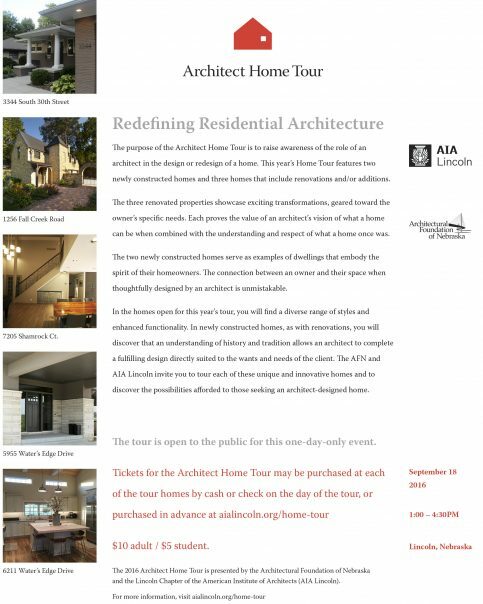 On Sunday, September 18 from 1-4:30 you will be able to tour five homes designed or redesigned by an architect. We are excited to present two new homes, and three that have been remodeled, showcasing the potential that all homes have to be imagined or transformed with the help of an architect. Tell your friends and family. We hope to see you there! This entry was posted in People / Places / Projects on August 29, 2016 by Jenni Felton.